It’s more than 150 events in 39 states and 25 countries, all on a single day, and all designed to celebrate the world’s most curious and awe-inspiring places. Since the British burned down the U.S. Capitol in 1814, the home of our lawmakers has been subjected to major alterations. In the 1950s, during one particular renovation, a number of the original stone blocks – some dating back to the early 19th century – were stored in Rock Creek Park, this history hidden from the public eye. Until now. After this journey, we will be joined by Atlas Obscura‘s CEO and host of the popular Slate Political Gabfest podcast David Plotz to help us discover Fort DeRussy, conveniently located just across the way. In 1949, a subterranean streetcar station was opened beneath Washington, D.C.’s iconic Dupont Circle to help relieve traffic congestion. It was closed only 13 years later and has been largely abandoned ever since. Until now: The nonprofit Dupont Underground is transforming the space into a cultural destination. Join the group’s managing director, Braulio Agnese, as we go under the city’s streets for an exclusive tour of these forgotten tunnels and platforms. We will learn about the history of this unique urban space and the potential it holds as a place for arts, design, and performance. For Obscura Day only, there will be two guided tours: 9:30 AM & 10:30 AM. AND JUST ADDED – 11:30 AM TOUR! Please be aware of which one you sign up for! This is an underground walking tour, so please dress accordingly and wear comfortable shoes. Tickets will go fast for this exclusive event, so please purchase early! Part of the proceeds will be donated to the Dupont Underground’s fundraising efforts. ALL TICKET SALES ARE FINAL. Questions, please contact matt@atlasobscura.com. From a resort to a girls’ school to a hospital, the National Park Seminary has undergone a lot of change. Of the two dozen historic buildings in an eclectic collection of styles, most are occupied, but several remain still in decay awaiting their new life. The tour will include a walk around the entire property telling the story of why these unusual buildings are here in Maryland. We will also go inside to see the treasures that await within. Part of the ticket proceeds will be donated to the Save Our Seminary. Take a special behind-the-scenes tour of the NRA National Firearms Museum, in Fairfax, Virginia where thousands of historic and unusual firearms are waiting. Led by experienced museum curators, this unique tour will take visitors behind the exhibits into areas where visitors normally don’t tread. Following the tour a hands-on session with historic guns will allow participants to handle famous guns from the California Gold Rush through World War II. Advance purchase highly recommended; space is extremely limited! 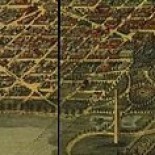 This entry was posted on May 21, 2015 by dchistorystuff in DC History, Events, History, Washington DC and tagged Anderson House, Civil War Washington, Congressional Cemetery, Dupont Underground, Fort DeRussy, National Firearms Museum, National Park Seminary, Rock Creek Park, Society of the Cincinnati.